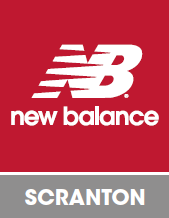 New Balance Scranton / Wilkes-Barre, located at The Shoppes at Montage, will help you find your Total Fit in footwear and get you on the right track to achieving a healthier lifestyle. Additionally, we know what you need to love RUNNING more. Our trained fit specialists will work cooperatively with podiatrists and orthopedists throughout the region to address the unique fitting needs of our customers. We’re proud to be the only major company to make or assemble more than 4 million pairs of athletic footwear per year in the USA, which represents a limited portion of our sales. Where the domestic value is at least 70%, we label our shoes Made in the USA. Stop by our Shoppes at Montage location today to shop the selection.